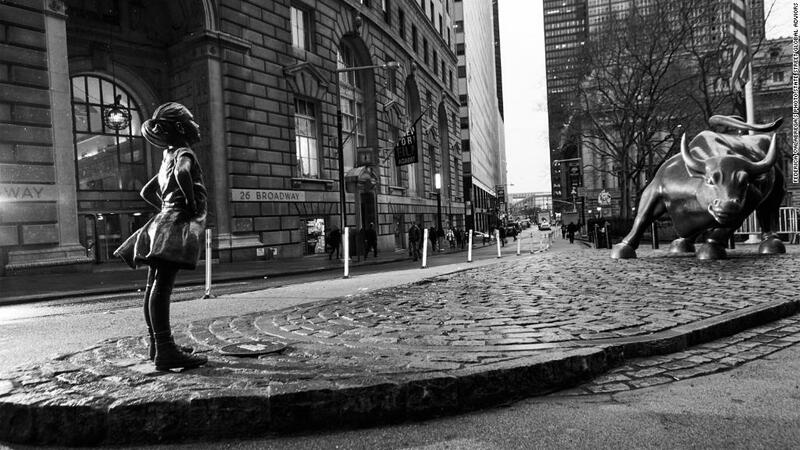 The artist behind "Charging Bull," the bronze sculpture that has come to symbolize Wall Street, wants "Fearless Girl" out of the way. But New York City mayor Bill de Blasio insists "Fearless Girl is staying put." "We wouldn't move the Charging Bull statue if it offended someone," de Blasio tweeted Wednesday. 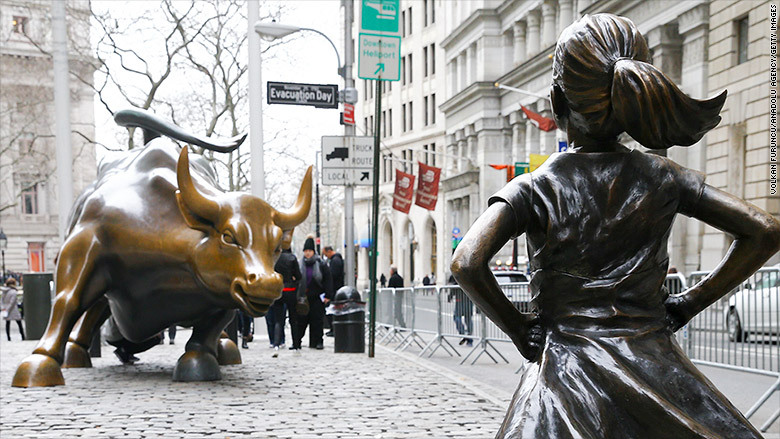 The city has said "Fearless Girl" can keep staring down the bull at least through February 2018. But Arturo Di Modica, who sculpted the bull, wants the girl moved. Di Modica, 76, told reporters Wednesday that the girl changes the positive message of the bull sculpture, which is "a better America and a better world." Arturo Di Modico, the artist who created "Charging Bull," says that "Fearless Girl" changes the positive message of his art to negative. "The girl is standing there like this in front the bull, saying, 'Now, what are you going to do?'" the artist said at a press conference, holding his hands on his hips like "Fearless Girl." His lawyer, Norman Siegel, said the girl's presence makes the bull "representational of male dominance and Wall Street" instead. He called it copyright infringement, and said he's considering filing suit if the girl sculpture isn't moved. "We're not saying that it should be moved out of the city. It just needs to be placed in another place," said Siegel, a civil rights lawyer who said he stands for gender equality. Siegel also said that State Street Global Advisors, the company that installed "Fearless Girl," made money off the bull by running ads that included both sculptures, though the company has since omitted the bull. The company says on its website that it placed "Fearless Girl" in a spot that made her "impossible to ignore." State Street did not return messages from CNNMoney. 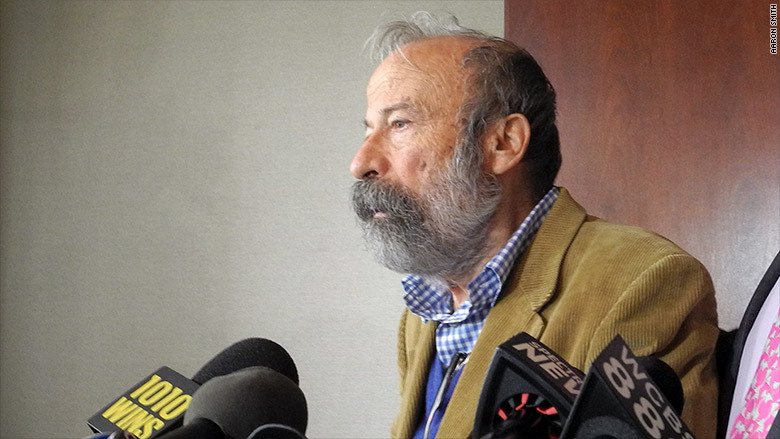 The lawyer for the sculptor of "Charging Bull" wants "Fearless Girl" moved. "Charging Bull" was installed in front of the New York Stock Exchange in the middle of the night in December 1989. Police removed it because it didn't have a permit, but public support was so great that the city gave it a permanent home nearby. Kristen Visbal, the sculptor who created "Fearless Girl," did not immediately return a request for comment. State Street Global Advisors, the firm that installed the statue, also did not answer a request for comment. Mayor Bill de Blasio weighed in on Twitter. He retweeted a Newsweek article about the artist's objections and added: "Men who don't like women taking up space are exactly why we need the Fearless Girl."